Petroleum Marketing Group (PMG) owns, operates, and supplies over 800 gasoline, food service, and convenience store retail and wholesale locations across eleven states, but primarily in the Mid-Atlantic region. Over 1,600 employees are part of the PMG team that makes all of this work, and our Information technology (IT) team has earned its reputation as top notch within that PMG family. 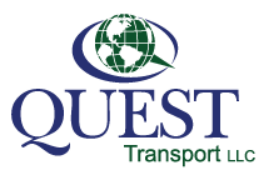 Our company manages hundreds of thousands of purchase transactions routinely; a gasoline delivery is made by our transportation company every five minutes around the clock and 365 days a year from New Jersey to Tidewater, Virginia, and all aspects of information technology and related support are provided by Support Functions. Support Functions superbly manages all of this through highly skilled professionals, a positive and uplifting approach, and they treat this company as their own! Two years ago, and prior to Support Functions joining the PMG team, we had an IT infrastructure that had evolved very quickly through aggressive growth and acquisitions over a short period of time. Although the people within that group were dedicated and hardworking, the size, scope, skill set requirements, and tempo of that environment clearly called for us to be at a greater level of overall proficiency. In addition to the day to day operational requirements, we have successfully completed over twelve major acquisitions within the past ten years, with four of those executed last year alone. With this type of aggressive growth model being the future norm, we realized the need for a cohesive infrastructure that is “task organized”, flexible, and innovative to manage both the acquisitions and the maintenance of those assets and functions. The depth of knowledge, infrastructure, leadership, and IT vision Support Functions offered was the solution. Support Functions, under the leadership of Barry Kamrad, stepped up quickly and demonstrated one of their greatest attributes, “getting things done as a team”! With several major acquisitions pending at the time, over twenty major IT projects on hold but needing to be completed, and the need for stabilizing the department’s infrastructure, Barry Kamrad and the entire Support Functions team met, and continue to meet those challenges head on. Within the first year they produced major impactful process and infrastructure improvements, and many of the delayed projects were able to be started. Our infrastructure was bolstered, our information backup and security was duplicated and protected, and automation was begun. Of particular note was that the Support Functions’ leadership style was executed in a manner that allowed all of our employees and leadership team to see Support Functions as “part of PMG”, not a typical “9-5” third party contractor! The tremendous operational need for IT leadership, direction, vision, technology and implementation enhancement, and dedication have all been met or surpassed by the Support Functions team, and to go above and beyond the normal scope of responsibilities willingly, constructively and always with the intention of helping. It has been a sheer pleasure to work alongside the Support Functions team! They are one of the most efficient, professional, proficient, caring, and “heartfelt” groups I have had the privilege of knowing. The team is results driven, they produce consistently, they normally surpass their timeline deliverables and objectives, they truly care, and they are dynamic. We cannot say enough about this group that would accurately reflect their value to this company, and to express their level of dedication and contribution both strategically as well as in day to day.Truly a superb group of go getters and IT professionals with a higher calling and who love what they do, and do what they love very well! 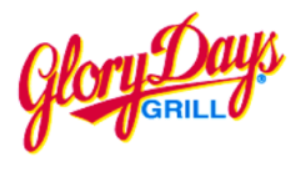 Glory Days, Inc., Glory Days Grill, LLC and Glory Days Franchising Company own and operate 25 Glory Days Grill full-service restaurants (“Glory Days” and “Glory Days Grill”) which are located in Virginia, Maryland, West Virginia, and Florida. Six of these locations are franchised restaurants. All three of our companies and all of our restaurant locations utilize the Support Functions family of companies. Glory Days Grill restaurants were founded in April of 1996. We operate high-quality neighborhood eateries featuring classic American fare borrowed from cities across America. We also emphasize the positive attributes of sports. For all of these years, the Support Functions people have worked hand-in-glove with Glory Days Grill personnel and have proven themselves to be self-reliant dedicated entrepreneurs. Their record of achievement has been exemplary. Support Functions has been responsible for improving virtually every aspect of our business including procurement sourcing, security of assets, hosting and managing our server farm, quality control; project management; sales development, income statement accountability and a full range of other responsibilities. Not only did they perform these functions and tasks in a thorough fashion, but they were also a significant contributor to building the integrity of our brand and enhancing the overall Glory Days Grill reputation. Support Functions is knowledgeable, confident and the strongest outside services company that we have ever used. Of paramount importance for success in this capacity has been their ability to effectively communicate to a myriad of individuals, including our own internal support services employees, kitchen personnel, unit level management and the company executive teams. Barry Kamrad and Nazanin Nejad have consistently demonstrated their talent for making meaningful connections with virtually every person they encounter at Glory Days. We have been fortunate to have worked jointly with professionals of their caliber, expertise and personal integrity. Their approach to working with us, solving problems and taking full advantage of sales building and cost reduction opportunities has created a climate for higher achievement at all of restaurants and within all three of our companies. Thanks in large measure to Support Functions organization, planning skills, concise communications and their talent for networking effectively with the myriad of individuals within our companies, they have carved out a successful multi-year tenure with our very demanding company and have been our “Vendor of the Year” for 19 consecutive years! This is a direct reflection of Support Functions work ethic, dedication and the passion they bring to the job. In the past 20 years, Summit Anchors has provided fall protection to over 600 customers across the US and worldwide. Since our company is experiencing growth, we reached out to Support Functions to assist in creating and building our IT infrastructure to support our growth. The SF team conducted a comprehensive audit, helped us establish a plan to meet our needs, overcome small business challenges and has worked very diligently to identify security gaps, automate systems and implement new technologies. Our previous IT providers were unreliable and would grossly overcharge and underperform. However, the Support Functions team has proven to be responsive, diligent, professional and instrumental to our success and we consider them a strategic partner that enables us to keep a competitive edge. We appreciate the peace of mind of knowing that we have a team of experts taking care of our business! Glory Days Grill owns and operates 25 locations across 4 states. The Support Functions family of companies have been serving us since the founding of our company in 1996. At critical growth junctions, Support Functions has been our trusted partner in transitioning our IT systems to meet our growing needs. Their deep knowledge of our industry has enabled them to strike a critical balance between providing the necessary infrastructure while keeping the expenses under control. They regularly keep us informed as to the technological opportunities for us to maximize our productivity. When it comes to technical support, while our agreement is for a 24-hour response time when issues arise, they regularly respond to our needs within minutes. The Support Functions team manages a number of systems and programs for us be they IT-related, Inventory management and distribution of certain supplies, or data processing. Once we assign them a project, they can be counted on to execute it from A to Z in a reliable and honorable manner. Our petroleum hauling business involves deliveries to over 800 retail and wholesale sites and we manage hundreds of thousands of transactions every year. Our previous IT infrastructure was unstable and inefficient, resulting in huge productivity losses and delays in recovery. Support Functions took the lead in overhauling our entire IT Infrastructure to make it secure, stable and efficient. The biggest impact they have had on our business is their reliable Disaster Recovery services for backing up and replicating our entire critical IT infrastructure. The Support Functions team is very committed to ensure that our IT is always optimized for peak performance. Their constant testing and process improvements keep things running smoothly and our IT systems are now well prepared to handle the rapid growth we are experiencing.